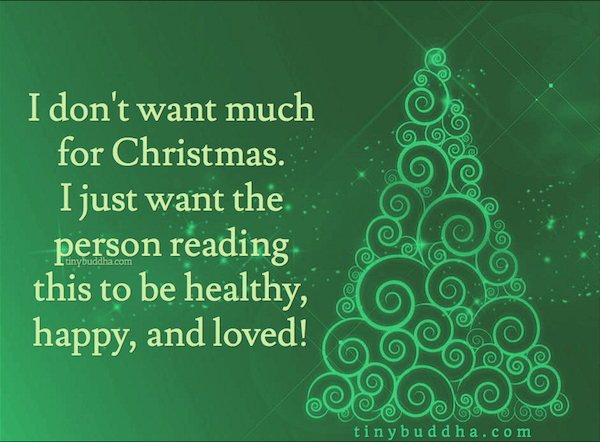 “I do not want much for Christmas. Please join us live as we broadcast our Christmas Eve Concert followed by Midnight Mass. Posted in Entertainment, Hobbies, Lifestyle, Singing	| Comments Off on Happy Holidays 2017! Let’s add to the 2016 reading list, shall we? Special thanks to the New York Public and Alliance Française libraries for being so awesome! Please consider patronizing and/or supporting them. Even though there was no particular theme when initially selecting/being recommended books, the second half of the year turned out to be focused on financial self-discipline (yay, adulting ). Note that several of these authors have fantastic podcasts and YouTube channels that I highly recommend. “Humans of New York“, Brandon Stanton, 2013. Note: Re-reading. 2015 Christmas present from my amazing brothers in Montana . Quite fitting, isn’t it? “The Rise and Fall of Nations: Forces of Change in the Post-Crisis World“, Ruchir Sharma, 2016. “The Day the Crayons Quit“, Drew Daywalt, 2013. “The Day the Crayons Came Home“, Drew Daywalt, 2015. “Emotional Intelligence“, Daniel Goleman, 1995. “Seven Habits of Highly Effective People“, Stephen R. Covey, 1989. “Eat, Pray, Love“, Elizabeth Gilbert, 2006. “Dreams from my Father“, Barack Obama, 1995. Note: I can relate so much to the chapter on the journey to the fatherland! “The Internet of Things“, Samuel Greengard, 2015. Note: Re-reading it, given that I am now playing around with Voice Assistant app dev, inspired at #GHC17. “The Total Money Makeover“, Dave Ramsey, 2003. Note: Dave’s “Baby Steps” significantly helped me while in college & Grad School. He also has a great podcast and YouTube channel. Shark loans: title pawn, payday loans, same-as-cash, etc. “The Complete Guide to Money“, Dave Ramsey, 2011. “Retire Inspired: It’s Not an Age, It’s a Financial Number“, Chris Hogan, 2016. Note: Giving is indeed an important aspect of my life, which is why I established an endowment at my alma mater. There is so much more I would love to do! “Smart Money, Smart Kids“, Dave Ramsey & Rachel Cruze, 2014. “Love Your Life Not Theirs“, Rachel Cruze, 2016. “The Billionaire Next Door“, Jessica Lemmon, 2016. “Money, Possessions, and Eternity“, Randy Alcorn, 1989. “The Joy of Less: A Minimalist Guide to Declutter, Organize, and Simplify“, Francine Jay, 2010. Note: Re-reading. Needed to de-clutter my mind before the end of the Advent season. “The Girl Code: Gaming, Going Viral, and Getting It Done“, Andrea Gonzales &‎ Sophie Houser, 2017. “Rich Dad Poor Dad“, Robert Kiyosaki & Sharon Lechter, 1997. “Boundaries“, Dr. Henry Cloud, 1992. “Stop Acting Rich“, Thomas Stanley, 2009. “I Will Teach You to be Rich“; Ramit Sethi, 2009. “Your Money or Your Life“; Joseph R. Dominguez, Vicki Robin, Monique Tilford, 1992. “The Richest Man in Babylon“, George Samuel Clason, 1926. “Get a Financial Life: Personal Finance in Your Twenties and Thirties“, Beth Kobliner, 1996. “The 9 Steps To Financial Freedom“, Suze Orman, 1997. My Favorite Books of 2016, Bill Gates. 5 amazing books I read this year (2017), Bill Gates. Top 10 Books 2017 from Richard Branson & Bill Gates, Roger Hamilton. Receiving the “Grace Hopper Shining Star” award from the Technology & Data division at Morgan Stanley this year has been quite a surprise and honour as well. While preparing for this year’s Celebration of Women in Computing, I would like to share with you my reflections on the significance this recognition of Women in Tech contributions. [#GHC10] The Scholar – You Are Not Alone! [#GHC17] You are the Future! *That was really the title of our panel! William Shakespeare. Romeo and Juliet: Act 2, Scene 2. 1597. “What do you mean by that?” I asked her. “R-G is fine”, I muttered, “pronounced \’er-jā\”. As you can imagine, I have at least one version of such encounters weekly. 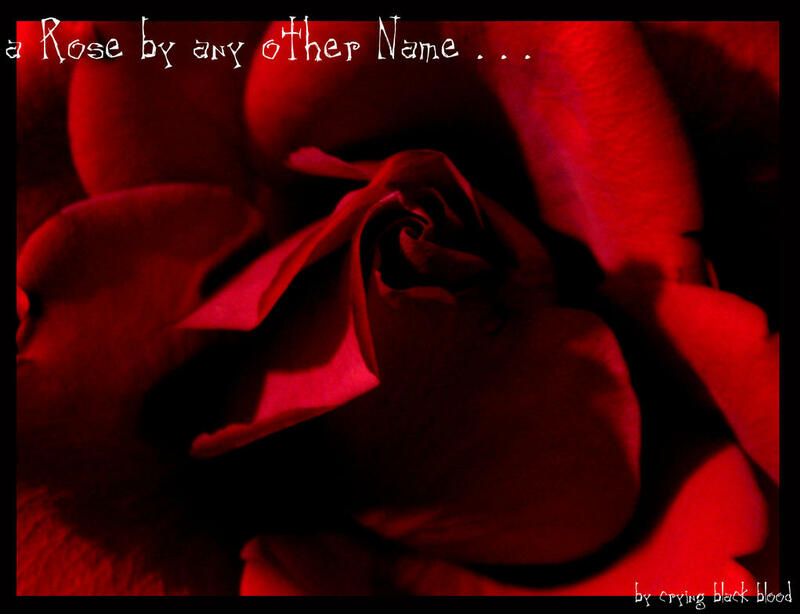 Then why, might you ask, do I insist on being called by my full first name, “Rose-Gaëlle“? It is quite simple, really: It is to honour the wonderful woman after whom I was named, Rose-Juliette M. Belinga, affectionately known as “Ma’a Rose”. In fact, she was such an amazing lady that my Great-Grand Mother — with whom I had the pleasure of practicing Deutsch almost every summer until my teens * — lacked the fortitude at over 92 to handle the harrowing news of her daughter-in-law’s passing. I must add that hers was not the only legacy being honoured by that name preference. As a matter of fact, one of my Tantines (young aunts) was named after my Grand-Mother long before me and I can still vividly recall our last family Christmas celebration together. Even though I was hardly out of kindergarten and she a teenager, it did not stop her from wanting to spend quality time with the sickly child that I was, often hidden behind books and jigsaw puzzles. She had a limitless imagination, wonderful smile, great sense of humour, and selfless personality, despite her growing fatigue and weight loss, among other things. The end of the school was fast approaching when we heard Mum shriek downstairs, having just returned from work. We hid in our room, thinking that she might have finally figured out that the large porcelain vase by the entrance had been super-glued back together days earlier, following a short-lived indoor football (soccer) game. After regaining her composure in what seemed like an eternity later, she came into our room, had us sit down, and docilely explained to us that we would no longer see Tata Rose-Nadine M. Ndongo *. Not because she resided in another province, but was now in another “world”. It took years for these news to sink in, as up to this point, we had neither encountered the concept of life and death, nor the reality that hospitals could not “repair” us when it came to Leukemia, unlike our frequent bouts of malaria. Who could forget Emma’s moving story? As the search for a cure continues to make strides, I am excited to be able to contribute by participating in the 2017 NYC Triathlon on behalf of the Leukemia & Lymphoma Society. I also invite you to support our team’s page, through well-wishing thoughts and beneficence. You may not know it, but every single donation helps save a life. Thank you for helping us take a stand in the fight against cancer! Tata Nadine — indeed, she did not go by “Rose” either — was so camera-shy that this is the only recent photo of her that we could find when she passed away during her Senior year in High School. Kamerun was a German colony. Our family name is “Ndongo”. There is a long and interesting story behind why some of us ended up with “Belinga”, which will be covered in a future post. What can I do today to help my neighbour? I am NOT questioning the authority of elected officials. This image is meant to be a conversation starter with all of you, members of my virtual network. It is an opportunity to educate many about how DIFFICULT life is for us immigrants, regardless of the nation in which we are currently studying/working/living. Posted in About Me, Education, News & Politics, Philanthropy	| Comments Off on What can I do today to help my neighbour? I was still getting my bearings after moving to Atlanta when I received a mysterious Open House postcard in the mail. Little did I know at the time that this was the beginning of an incredible journey which will take my footsteps to Auburn – for the dual-degree program – and later to NYC. Doubtful that I would even last a couple of years in the city at the time, I still cannot believe that I have been here for four and half years so far, and counting! I love the tremendous amount of opportunities and activities the city has to offer, not to mention the wonderful people I have met who contributed to making this experience a positive one. And guess what? I met several of them at OU alumni events in NYC and look forward to the next one, on Wednesday, February 8th, between 6:30pm and 8:30pm, at Riposo 72. I hope you will be able to join us for the Oglethorpe Day NYC 2017 celebration and look forward hearing your OU story! As well put by Mark Twain: travel is mind-expanding! In fact, I cannot think of a more wonderful way to end the Jubilee Year of Mercy while kicking-off the Advent season than by going on a personal retreat to the other end of the world. It will definitely take me several days to upload all [random] photos taken and type up my travel journal, but I am certain you will agree that they are worth the wait. Enjoy!